Dining table and console table in ebonized walnut and sycamore. 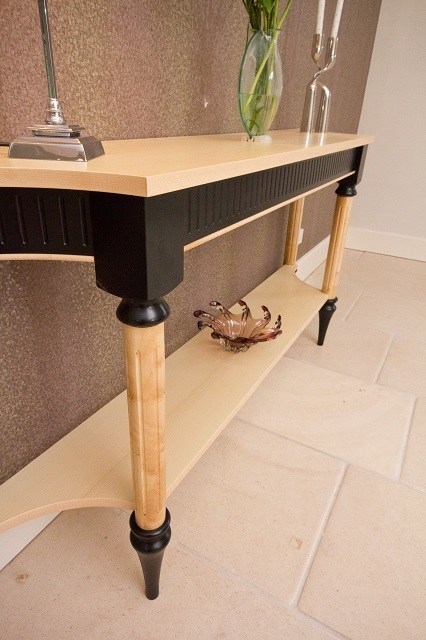 A deco style suite of furniture where the lovely pale sycamore is contrasted by the fluted ebonized walnut detailing. 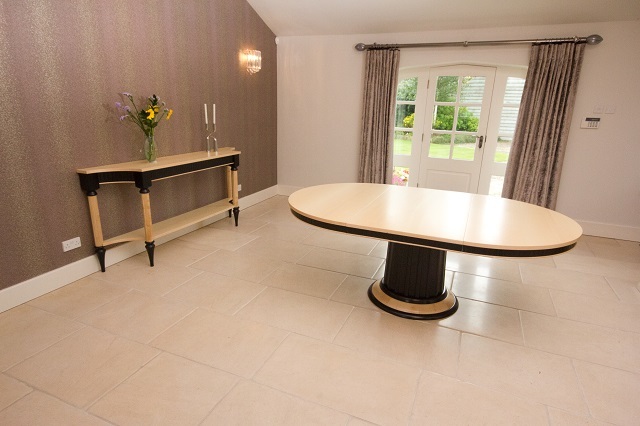 The dining table is set on a central column and is extendable.